For me, beans were always the great equalizer. No matter how picky an eater I was growing up; whether it was hating green vegetables or just flat out not wanting to try new things as a general practice. I loved frijoles. Call it ingrained but I don’t ever remember a time when I didn’t eat beans. They were always there. Like the panaderia calendar in my Nana’s kitchen. They really are an essential ingredient in Mexican cooking; I would venture to say just behind corn and chiles. In the Olympics of Mexican cooking, beans get the bronze. But damn it if sometimes it doesn’t feel like it always had the gold all along que no? Frijoles at my Nana’s house were always cooked fresh; from dried beans, stewed and then served asi no mas or made into refritos. Without Frijoles De La Olla (essentially, beans from the pot) there’s no refried beans. It’s like no sugar no Kool-Aid. And. Pues si, you can used canned beans but the *real* flavor, the sabor comes from the bean broth. That’s what makes the process worth the reward. Frijoles de la Olla are essentially a shallow stew of beans. They are cheap, easy (albeit there is some forethought and time that goes into pre-soaking the beans) and absolutely delicious. They aren’t the fastest dish to make; they do require a little planning but the planning is more waiting than anything. The great thing about this dish is that (traditionally – or at least how I know it) this dish is vegan by default. Note: There is some debate as to whether to salt your beans at the start of cooking as opposed to half-way through. Conventional wisdom states that it will inhibit the cooking process and not allow the beans to soften correctly. Others say that this it is an old wives tale. In my case I side with the old wives. I like the old wives. When it comes to cooking, old wives got it wrapped up like a mummy. But that’s just me. 1. Pick over the beans. Remove any debris. Any weird looking ones; any half-beans and give them a good rinse. 2. In a large stock pot cover beans with plenty of water. More than you’d think you’d need. (They expand quite a bit). Soak for a minimum of 8 hours up to 24 hours. 3. Remove any beans that have floated to the top. Drain & rinse beans under cold water. 4. Cover beans with water and add all ingredients except salt; use a large pot to allow plenty of room for your beans to cook. 5. Bring beans to a rolling boil; lower heat and allow to simmer for about 1 1/2 hours or until tender. If you see that the water has evaporated faster than the beans are cooking add more water – make sure that all the beans are covered in water. 6. When beans are al dente (about half way through cooking time) add your salt. 7. Cook beans until tender and most of the liquid has evaporated. Salt & Pepper to taste. 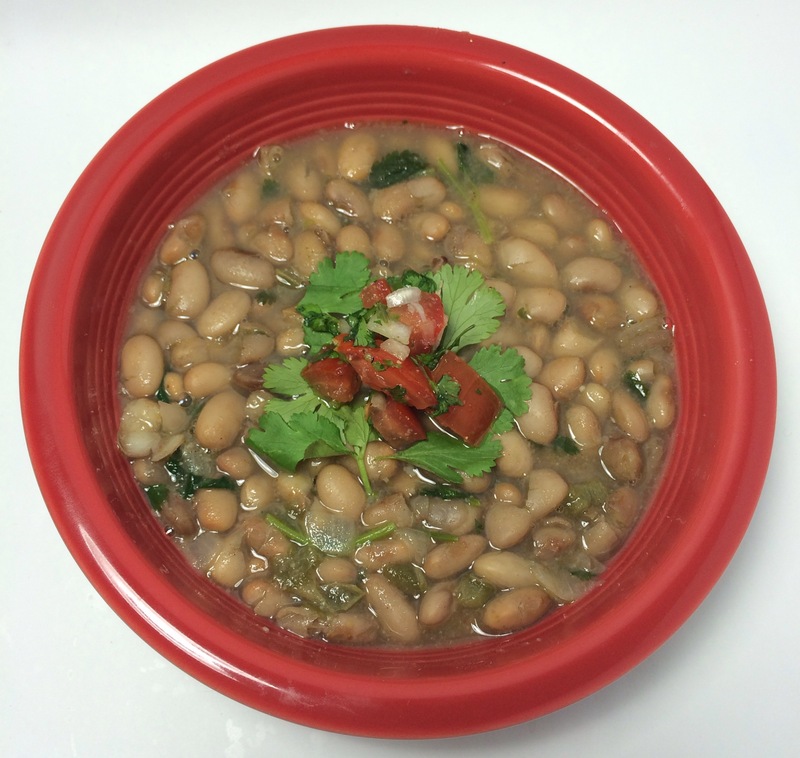 I made these beans yesterday and they were simply delicious and flavorful. Thank you so much for creating these wonderful Authentic Vegan Recipes! I would like your permission to post photo’s of my beans on my google+ and blog linking your website for the recipe giving you credit of course.